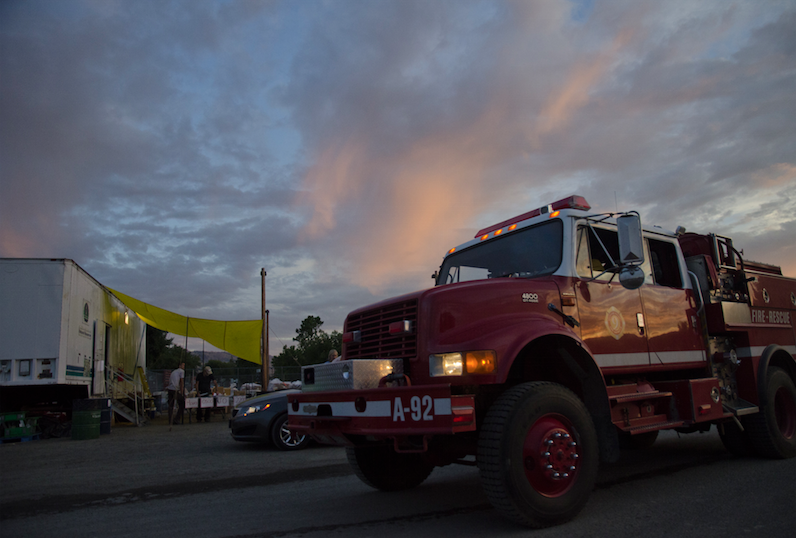 A wildfire engine pulls into the temporary fire camp at the Omak Stampede fairgrounds last week. 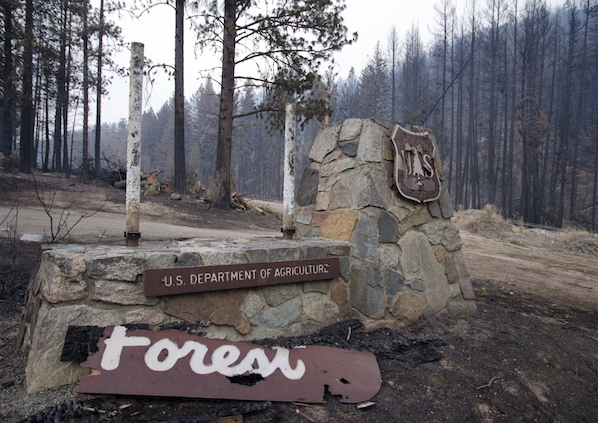 A sign marking the Okanogan National Forest sits burnt and broken along Highway 20 west of Omak. As residents assess the damage and start rebuilding, the Carlton Complex Fire in Central Washington continues to burn. Officials reported this morning that the fire had grown by another 673 acres and hot weather has forced the delay of some containment efforts. Our cover story this week shares some of the stories of community strength and human perseverance demonstrated by the residents displaced by what has grown into the largest wildfire in the state’s history. For those seeking more information on the fire, officials have established a regularly updated website for the latest news. The newest information has the fire at 251,698 acres with 71 percent containment around the perimeter. Fire officials previously broke the fire into three zones to localize command, but the fire has slowed to the point where the plan is to consolidate command under a single team again. Fire officials released this map showing the spread of the fire from green areas to the brighter edges. 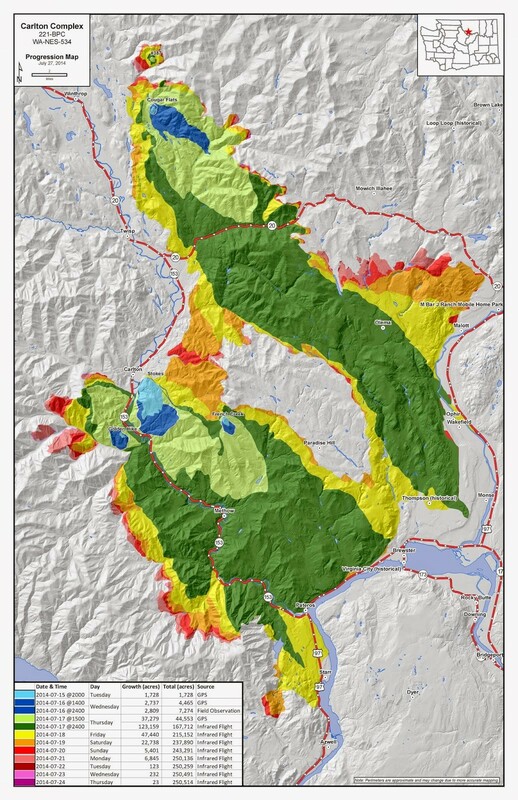 A map released earlier this week shows the progression of the fire from green areas to the outside, red edges. To track current or future fires, check the InciWeb database of major fires. Officials update larger fires multiple times a day.